EC Technology’s third-generation power bank follows the same red-and-black matte plastic design as its predecessors, but it’s slimmed down and is much more portable than the EC Tech 22,400mAh bank. No carry case is supplied, but the EC Tech feels reassuringly tough. At 166x66x23mm it could fit in the pocket of your jeans, but we do not recommend carrying it around in this way; at 330g it could easily pull down your trousers. Nevertheless, it will not add too much weight when thrown in your bag. A nice extra is the LED flashlight, which is a common specialty in power banks. A double-tap of the power button turns on the torch, which can be handy at night as you are fiddling around in the dark to find a charging cable for your phone. A second double-tap enters the flashlight into SOS mode, where it flashes endlessly; a third double-press switches off the torch. 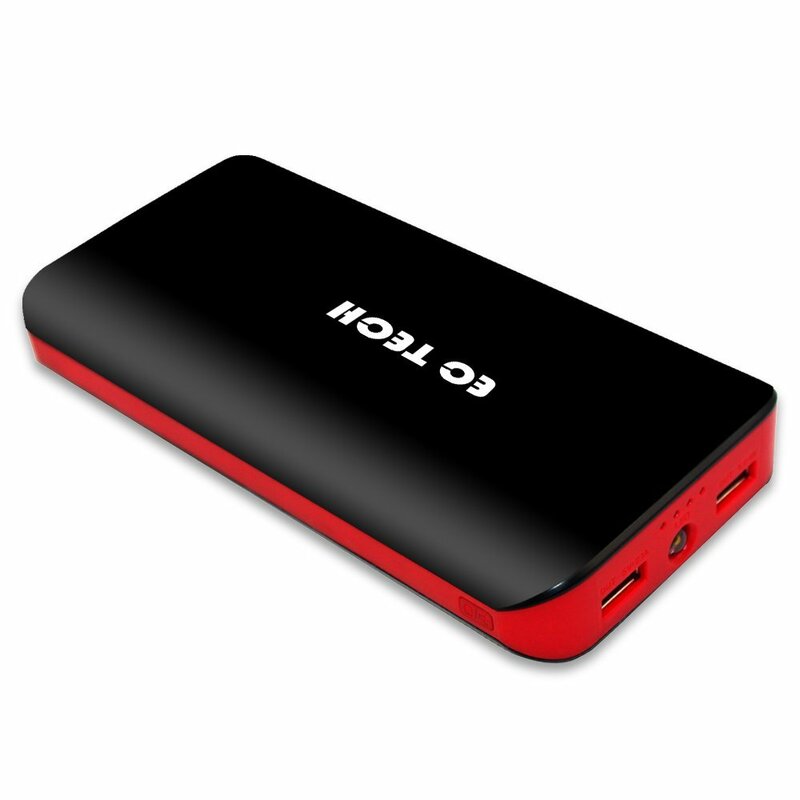 On one side of the EC Technology External Battery pack is a Micro-USB port for recharging the power bank. A cable is supplied in the box. In our tests we found we were able to simultaneously charge the power bank and a connected device; this is known as passthrough charging. The input is rated at 10W, but to make the most of that speed you will need a mains adapter that can deliver that much power. With a 12,000mAh capacity and an industry average proficiency of between 65- and 70%, you can expect a little over 8,000mAh of power to be available to your devices. That could charge an iPhone 6 4.5 times, a Samsung Galaxy S6 3 times and iPad Air 2 once; how many times it’ll charge your particular device depends on its own battery capacity. EC Technology 12,000mAh External Battery Pack is a very useful product to tuck away in your bag. It can simultaneously charge three devices, has a built-in smart IC function and will keep your phone going several days away from mains power.